When I change one of the paramaters of the logo 3D outline, Gimp crashed with an error and when I click on the error box, GIMP close down. Is the error known ? I get no errors with the other logos. The old scripts removed from Gimp 2.10 go way back. Many of them produce poor results or like 3D Outline just do not work. Could be re-written but who will do it? 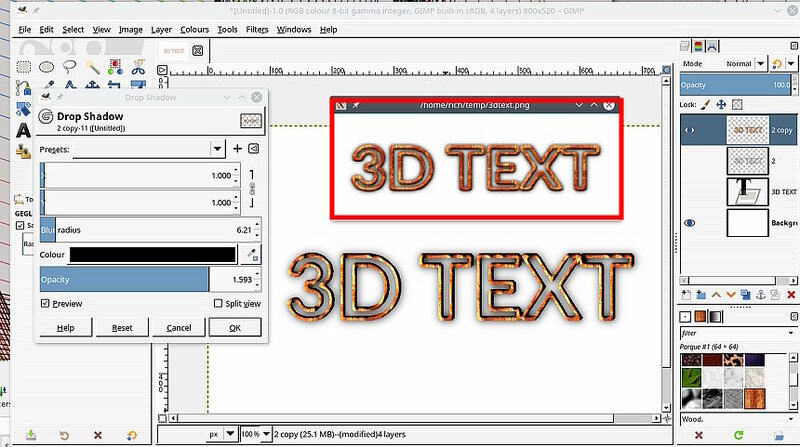 That 3D Outline goes back to 1998, the early days of Gimp. 4. Stroke selection with a pattern to get the outline. 5. Turn the selection off. 8. Apply a drop shadow. The inset made in Gimp 2.8 with the script for comparison. Thank you for the quick reply and for the tip, I give it a try.